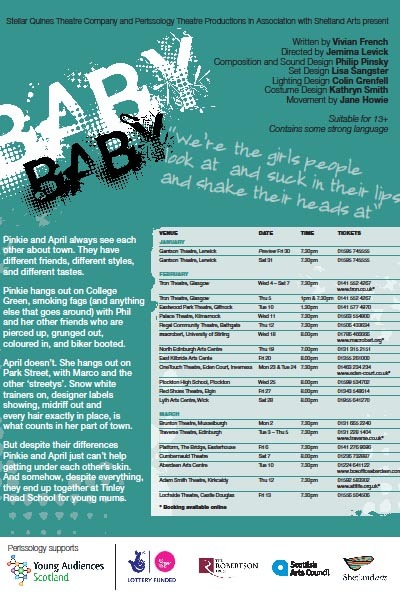 Ashley can be seen next at the Imaginate Children’s Festival, Edinburgh in Sense. rehearsals for Pobby and Dingan with Catherine Wheels in January which will tour around Scotland until April 4th. Ashley will be performing in An Incident at the Border at Oran Mor, Glasgow from the 23rd to 28th November at 1pm. Also for one gig and one gig only she will be singing (and playing a bit of cheeky uke) with Jericho Hill at Mcchuills, Glasgow December 4th 8.30pm. Ashley is performing in her final week at the New Victory Theatre New York and will return to begin rehearsals for An Incident at the Border, playing at Oran Mor in Glasgow at the end of November. Ashley begins rehearsals for Hansel and Gretel with Catherine Wheels theatre company at the end of the September. Hansel and Gretel will play a 3 week run at the New Victory Theatre in New York in October. Ashley is currently starring in Peer Gynt and can be seen at the following venues. 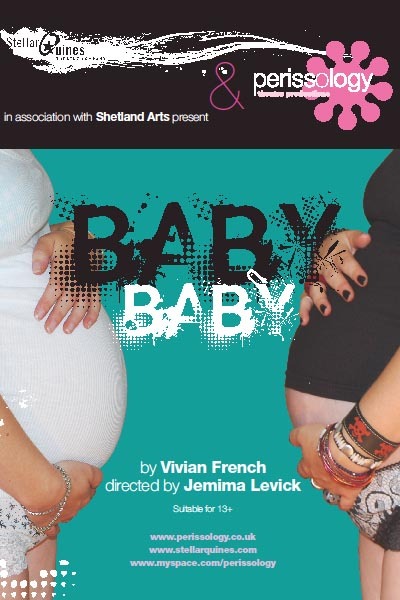 Ashley is currently appearing in Baby Baby in association with Shetland Arts. Check out the flyer and get more information by clicking the title above.